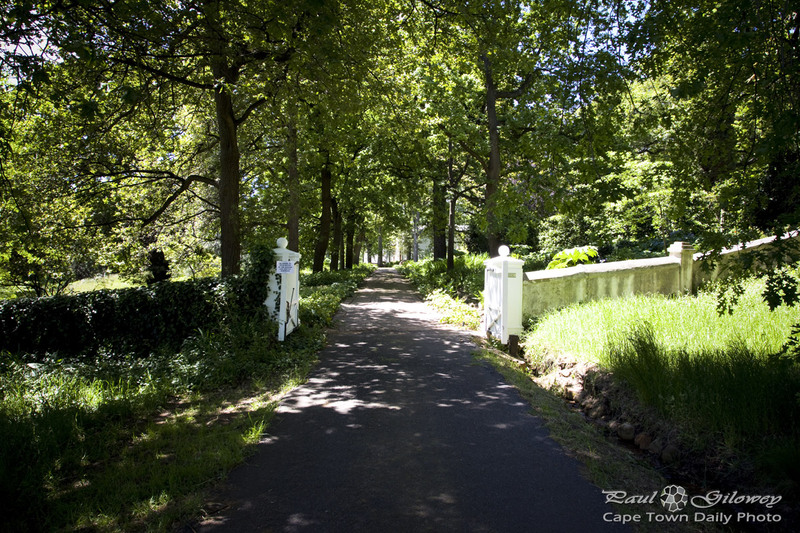 It was by shear chance that we stumbled upon Rustenberg Wine Estate (map) and their open garden day. On a whim, while heading down the Helshoogte mountain pass towards Stellenbosch, I took a right-turn and came across signs pointing to "Open Garden". After a few minutes we discovered the Rustenberg Wine Estate, parked, paid our R30 entrance fee, and started our walkabout at this gate. I'll post more photos from the walk in my next few posts - hope you enjoy them! Posted in General and tagged gardens on Thursday, 7 November, 2013 by Paul. Looks like a lovely place to drive along slowly and stop for a picnic. Wine included of course. I totally agree – although, I don’t think they offer picnics – only wine tasting. Which is a little sad.